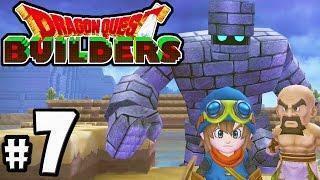 Welcome to PART 7 of my Dragon Quest Builders gameplay walkthrough for Playstation 4 (PS4 / Vita). When the Dragonlord casts an evil spell that erases any memory of building & releases monsters across the DQ1 land of Alefgard, our hero must rebuild the world to save its people. A fusion of Minecraft & Terraria with some great innovations, this new action-adventure RPG game lets us explore & create as we see fit within the classic Dragon Quest series. Thanks for watching guys!